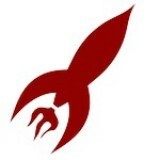 RocketPress Media. A fancy name for a bunch of geeks getting together and talking about stuff they love. RocketPress Media hasn’t been active on Medium yet. Check back later to see their stories, claps, and highlights.